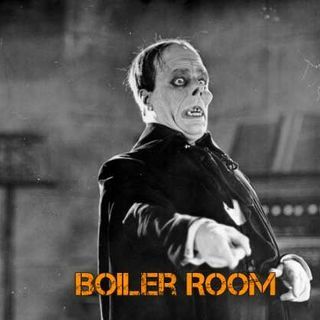 Join ACR hosts Hesher and Spore along side Andy Nowicki (the Alt Right Novelist) and FunkSoul & Randy J (21WIRE & ACR contributors), for the hundred and nineteenth episode of BOILER ROOM. Turn it up, tune in and hang with the ACR Brain-Trust for this weeks boil downs and analysis and the usual gnashing of the teeth of the political animals in the social reject club. This week on the show the ACR Brain-Trust is back with another meeting ... See More of the Social Reject Club in the No Friends Left Zone! The gang is covering a number of topics this week including the rise in public displays of pathological ego & mental illness, Trumps tweets on transgenders in the military, an upcoming 9/11 movie with Charlie Sheen, Grenfell Tower and some thoughts on the deaths of Chester Bennington and Chris Cornell.